The U.S. military says three American service members have been killed in a roadside bombing in Afghanistan's eastern Ghazni province. The military says three other service members were wounded when an improvised explosive device detonated today near the city of Ghazni, the provincial capital, as CBS News reports. Dive Deeper: “The Evolution of the Salafi-Jihadist Threat,” by CSIS’s Seth Jones, Charles Vallee and Danika Newlee. Over the past two years, the U.S. and United Nations have unveiled the tightest sanctions ever applied to North Korea, aiming to cripple Pyongyang’s trade with the outside world. Yet ships continue sailing to and from North Korean ports, carrying hundreds of millions of dollars-worth of fuel, coal and other products. They do so through a shifting array of tactics obscuring the ships’ links to Pyongyang, as the WSJ’s Niharika Mandhana reports. But, as Reuters reports, a source says that North Korean leader Kim Jong Un is willing to allow inspectors into the reclusive country’s main nuclear complex in Yongbyon. China is going to this week’s G-20 summit hoping for a deal to ease a damaging trade war with the United States, Beijing’s ambassador to Washington said today while warning of dire consequences if U.S. hardliners try to separate the world’s two largest economies, as Reuters’ David Brunnstrom, David Lawder and Matt Spetalnick report. Meanwhile, the White House’s top economic adviser cast doubt over the prospect of a ceasefire in the escalating trade war with China, saying negotiations in the run-up to a high-stakes summit this week had made no progress and a new round of tariffs was likely as the FT’s James Politi and James Kynge report. Dive Deeper: “Multilateral Economic Institutions and U.S. Foreign Policy,” testimony by CSIS’s Stephanie Segal before the Senate Foreign Relations Committee Subcommittee on Multilateral International Development, Multilateral Institutions, and International Economic, Energy, and Environmental Policy. Promises from nations around the world to reduce greenhouse-gas emissions fall far short of what is necessary to avoid catastrophic climate change, according to a new United Nations report that urges more-ambitious commitments to curb global warming as the WSJ ’s Timothy Puko reports. Following Russia’s firing on and seizing of three Ukrainian navy vessels this past weekend, the Ukrainian parliament voted Monday to declare martial law for 30 days. — China's ambassador to the United States Cui Tiankai. 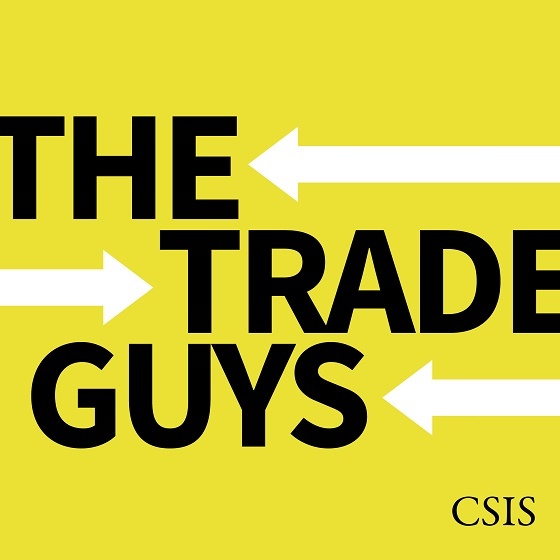 CSIS's International Security Program released an interactive report today on the re-emergence of state-based competition. Check out the report here. (Photo credit: Guillermo Arias/AFP/Getty Images). 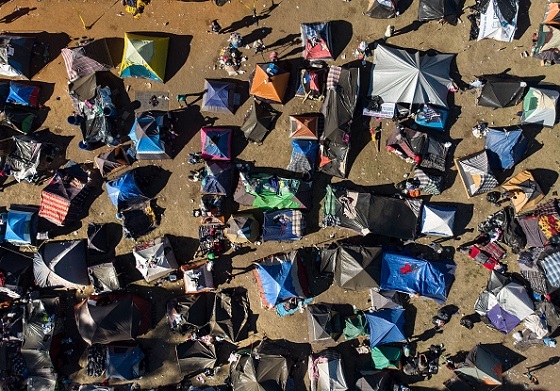 Aerial view of a temporary shelter where Central American migrants -mostly from Honduras- are staying in Tijuana, Baja California State, Mexico, in the border with the US. 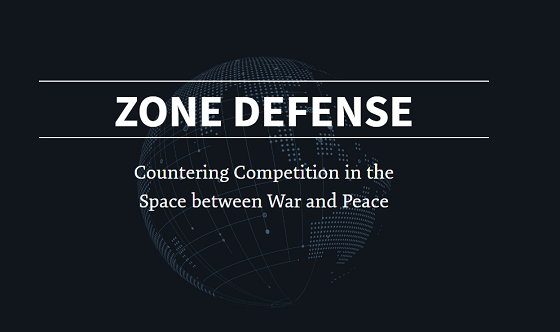 “Zone Defense: Countering Competition in the Space between War and Peace,” an interactive report by CSIS’s Kathleen Hicks, John Schaus and Michael Matlaga. At 10:00 a.m., CSIS will hold a Maritime Security Dialogue event on great power competition and the role of the recently reinstated Second Fleet. Later, at 3:30 p.m., CSIS will host a public discussion about the uncertain future of Venezuelan President Nicolas Maduro's legitimacy. And at 4:00 p.m. Georgetown University’s Institute for the Study of Diplomacy will discuss navigating the realities, possibilities, and problems of Arctic diplomacy. Today, CSIS held it’s annual Global Security Forum. This year’s discussions focused on the challenges gray zone tactics pose for U.S. security and the policy priorities needed. Watch the full event here. I’ve been listening to a lot of late ‘70s rock the past few weeks—mostly because I’m watching the new season of Neflix’ “Narcos Mexico” (which is awesome). One of the scenes in in the new season of Narcos Mexico involves one of the great REO Speedwagon tunes of the ‘70s. I have always loved REO and their giant sound. Their 1978 record “You Can Tune a Piano, but You Can't Tuna Fish” is fantastic, not to mention one of the classic titles and album covers in rock history. And “Roll With The Changes” written by lead singer Kevin Cronin is my favorite track.